In a world where fewer and fewer people have cable (or even broadcast) TV, that old rainy day tradition of flipping through the channels to find something, ANYTHING, to watch may be falling to the wayside. Sure you could get up and pop in a DVD or Blu-ray, but that's not the point. The point is to lie on the couch and do nothing, including not thinking too hard, so your entertainment should just come to you. Thankfully, The Goog and I still have basic cable, and when I want to veg out I find myself searching the guide for the movie equivalent of comfort food. Yes, I own all of these movies, and could just pop them into the machine...but somehow finding them out there in the ether makes it feel a little more meant to be. Here are five movies that I will always watch. Jurassic Park- Plot: Eccentric billionaire brings back dinosaurs from DNA extracted from amber encased mosquitoes. He invites dinosaur experts and his grand-kids to check out the theme park he is building. Life finds a way. Spoiler-It doesn't go well. Why I keep watching: I know it’s shoddy science. I don’t care. 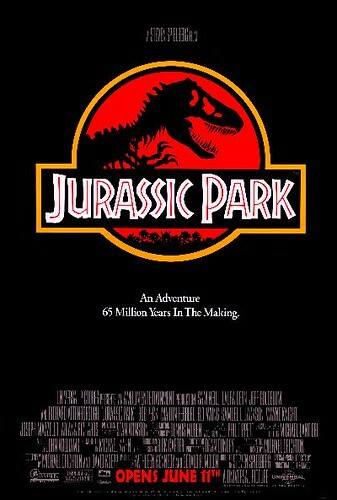 I still get the same feeling of excitement at the first big dinosaur reveal as I did when I first saw this in the movie theater. That John Williams score, the characters' own astonishment - I’m a young teen at a summer blockbuster all over again. Also, I always thought Dr. Sattler was kind of a badass and there is a young girl who’s a hacker. Fun Fact: I recently showed this to Little J. It still holds up. I may have told her how jealous I was of her getting to see this for the first time. 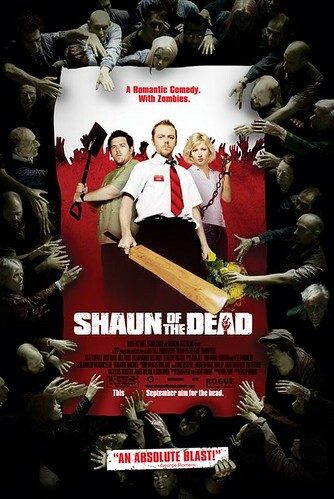 Shaun of the Dead- Plot: A zombie outbreak is just the thing Shaun needs to help him sort his life out. Real proper slow zombies. Why I keep watching: It’s a fantastic homage to the zombie movie genre and horror-comedy at it’s best. I still laugh every time I watch this movie, and I’ve seen it a lot! This is definitely my favorite in the Cornetto Trilogy and an absolute slice of fried gold. Fun Fact: When I saw this in the theater I actually heard a woman in the ladies room complaining that she didn't understand why a zombie movie had to have so many zombies in it. 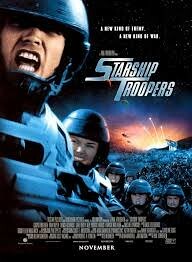 Starship Troopers- Plot: This move is VERY loosely based on the military science fiction novel of the same name. After graduating High School, Johnny Rico isn't much interested in much other than following his friends Dizzy and Carl and his girlfriend Carmen into military service to become a “citizen”. However once his home, Buenos Aires, is destroyed, his commitment to citizenship, the mobile infantry, and protecting Earth from the bug invasion is renewed. Why I keep watching: For me this movie is the perfect example of something that is so awful that it flips back around to being awesome. Fun Fact: The uniforms for Starship Troopers were last used in Joss Whedon’s Serenity. 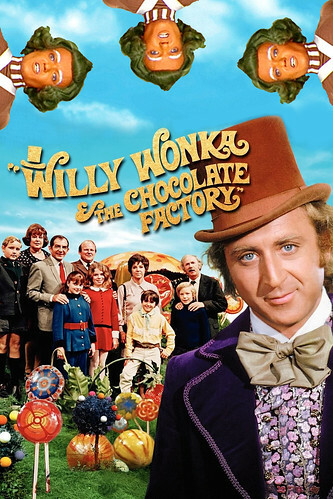 Willy Wonka & the Chocolate Factory (1971)- Plot- Based on the Roald Dahl book Charlie and the Chocolate Factory, an eccentric candy maker holds a contest to invite five children into his secret candy making factory. Why I keep watching: Admittedly this movie is a little slow to start, it doesn’t really pick up until the height of the contest and getting to the factory itself. Gene Wilder is amazing as Wonka, both sinister and avuncular; despite being a kids movie, there is never a feeling of safety. Plus, I still lose my mind about The Chocolate Room. I have been forever searching for a candy store that evokes the same feeling. Fun Fact: I love candy. A few weeks ago, The Goog and I went to a candy store at Hampton Beach and we got a 2 foot gummy snake. The Shawshank Redemption- Plot: This movie is based on the Stephen King short story “Rita Hayworth and Shawshank Redemption”. 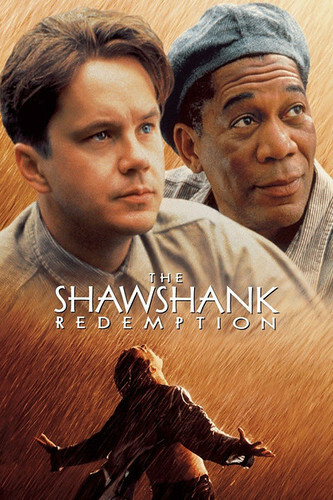 Set in the 1940’s, Andy Dufresne is imprisoned at Shawshank for the murder of his wife and her lover. Andy faces many hardships, but his brain, his hope, and his friends help him find redemption. Why I keep watching: This isn't a mindless movie, and there are some difficult scenes, ones that still make me sad even after multiple viewings. But it’s also a story of the triumph of the human spirit and a reminder of what a person can accomplish. Fun Fact: While Shawshank isn't a real prison, it is mentioned in many of Stephen King’s works. Honorable Mention- Any of the 3 Indiana Jones movies. And yes. THERE ARE ONLY THREE. I could not leave these movies off the list because they are such an integral part of my life. 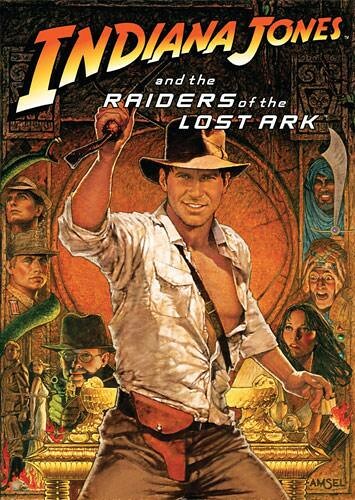 Plot: Archaeologist-adventurer Indiana Jones travels the world collecting artifacts that belong in museums. Why I keep watching: I went through a phase in my tweens of only watching these movies for a few months. Just kept rotating the tapes in the VCR. For me, these are the quintessential action adventure movies. Fun, exciting, and with a hero I wanted to grow up to be. Of the 3 films, my order of favorites is Raiders of the Lost Ark, The Last Crusade, and Temple of Doom. Fun Fact: I was about seven when Temple of Doom came out and I begged my dad to let me go with him to the movie theater to see it. He said no, because it was too scary. People eat bugs, chilled monkey brains, and you see some guy's heart get pulled right out of his body. I accused him of lying. There was no way that kind of stuff would be in a movie! It wasn't possible, it was too crazy! A few years later I was forced to apologize. Well, that was agonizing, but ultimately I think I'm happy with this list. What's yours?